Impact Creative is a full service creative agency based in Red Deer, Alberta. Our clients include a diverse range of corporate and privately owned businesses throughout Central Alberta. At Impact Creative we view each client relationship as an opportunity to further strengthen and improve our client’s corporate image in the marketplace. Our success is based solely on what we achieve for our clients. Do you need a branding strategy? Can you improve your chances of success in your market by improving your image? Impact Creative will provide the ideas and solutions you need to build your marketing strategy from presentation to production. We can provide a full range of creative services services designed to improve your image and company brand. From photography to graphic design to web site design and the development of your company's legend, Impact Creative can help you and your company make a positive impact on your market place. Call or email us today for a free consultation on what we can do together to improve your company's visibility and recognition. 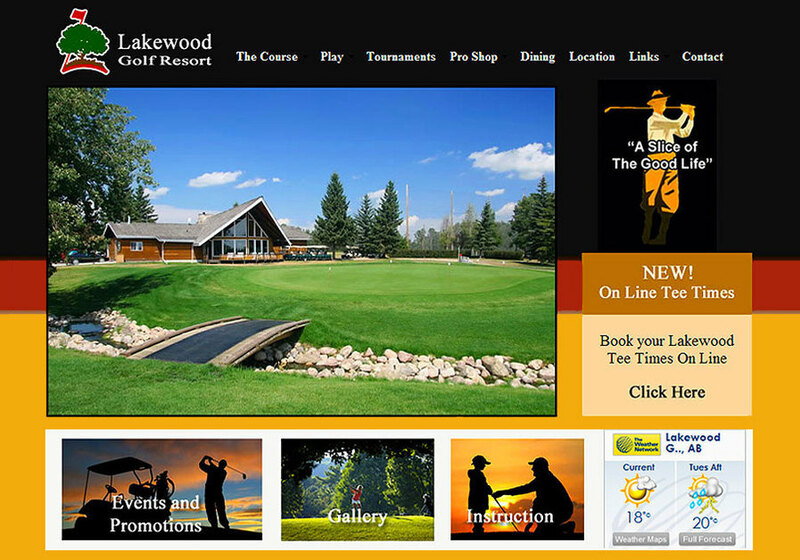 This is a screenshot of our latest redesign of the site for Lakewood Golf Resort.